Lloyds Banking Group has teamed up with Smarta to launch a new service for small and micro enterprise customers, providing a suite of digital software solutions to help entrepreneurs start, manage and grow their business effectively through the new ‘Business ToolBox‘. Accessible online from anywhere in the world, the Business ToolBox offers unrestricted access to eight online tools (including Sage One Accounting) to help manage all aspects of day-to-day business activities, from accounting and receipt management to digital tools for building websites, online data backup and a credit-checking facility. 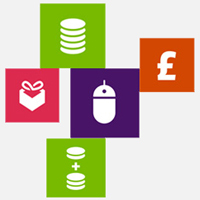 Lloyds Bank Business Account holders can sign up for a free 30 day trial of the Business Toolbox without having to put in any card or payment details giving them more flexibility to decide which items will help them the most. The resources have been introduced as part of the bank’s commitment to improve digital skills in small and micro businesses and their continuing partnership with Go ON UK – the digital skills charity, chaired by Martha Lane Fox. Smarta, the business support and advice network for start-ups, small business owners and entrepreneurs, worked with Bank of Scotland (part of Lloyds Banking Group) to devise the package of tools that would be most beneficial for its SME customers across the country. If you already have an active Lloyds Bank Business Account or are in the process of setting one up you can start your free 30 day trial of the ‘Business Toolbox’ today at https://toolbox.lloydsbank.com/users/sign_up.